Stewart Purvis' career is probably unique in its range across journalism, management and regulation. A local radio reporter, a regional television presenter and Sunday tabloid freelance while still at university, he was chosen as one of the BBC's first three news trainees in 1969. He moved to ITN in 1972 where he went on to win Royal Television Society awards for news and documentaries, two BAFTA awards as Editor of Channel Four News and a TV Times award. He became editor-in-chief of ITN and then chief executive, president of the international news channel, EuroNews, based in Lyon, France. After Stewart retired from ITN in 2003 he became City UNiversity's first professor of Television Journalism and a visiting professor of Broadcast Media at Oxford University. He was on the panel set up by the BBC Governors to report on the BBC's coverage of the Israel-Palestinian conflict. He was also a regular broadcaster on media matters and a columnist in the Financial Times and the London Evening Standard. 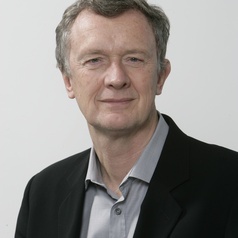 From 2007 to 2010 Professor Purvis was Ofcom's partner for Content and Standards, effectively the regulator of UK broadcast content, responsible for the implementation of the Ofcom Broadcast Code and other broadcasting regulation. He also chaired the UK government's Media Literacy Working Group and was one of the founders of the online academic resource Newsfilm Online. Among the honours and awards he has received, in 2000 he was made a CBE for services to broadcast journalism, in 2005 he was made an honorary doctor of law by Exeter University and in 2009 he received the Royal Television Society's Gold Medal for an outstanding contribution to television. Professor Purvis is regularly used as a media commentator by broadcasters on issues such as the 'Newsnight' crisis at the BBC in 2012. He writes a blog at profpurvis.com and in 2011 made a documentary for BBC Radio Four called 'When Reporters Cross the Line'. He is now writing a book of the same name with Jeff Hulbert which will be published in the summer of 2013. In other roles, he has advised the House of Lords Select Committee on Communications on the governance of the BBC and of behalf of DCMS was the independent chair of a multi-party negotiation to progress digital radio in the UK.